Eazipay Direct Debit Bureau: Daylight saving - do we still need it? Daylight saving - do we still need it? 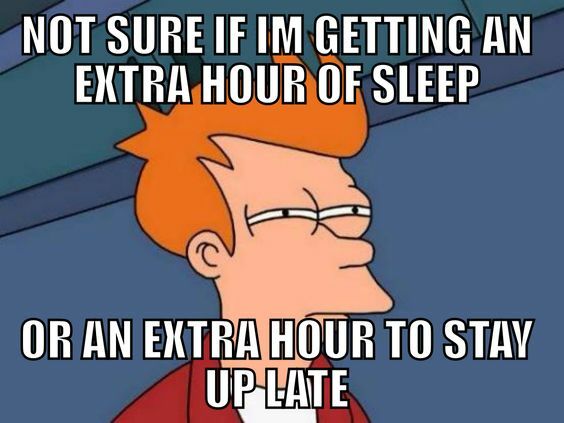 The big question is do we need daylight savings in the modern world? To answer that we need to look at why we have it in the first place. Did you remember about the clocks going forward? According to Twitter, there was a very large number of you that didn't. The idea was first raised in the UK by William Willett in 1907. He noticed that valuable morning hours were being wasted in the Summer. He produced a flyer called The Waste of Daylight. Willet campaigned for the rest of his life, to have this introduced. His efforts are even recognised in a commemorative sundial - set to daylight savings in Petts Wood, near where he lived. Willett died in 1915, 1 year before German introduced the clock changes. Britain finally adopted the idea a month after Germany. Obviously, at that time we were in the middle of the First World War, and it was felt that it could help our economy. The press reported on the change widely. One weird fact is that William Willett is the Geat Great Grandfather of Coldpay singer Chris Martin - who sang a song called clocks and another song called daylight! 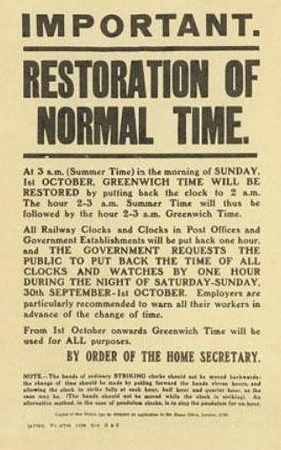 There is a bit more history to Daylight Savings, like during the Second World War, clocks were not put back an hour in 1940 at the end of summer, causing us to be 2 hours ahead of GMT, called British Double Summer Time (BDST). A similar thing happened in 1947 (Post-War) due to fuel shortages, Britain went back onto BDST. 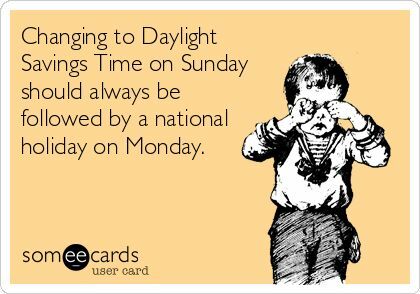 So, this initial question do we still need Daylight Saving - there are many calling for it to be scrapped. Saying it doesn't fit a modern society. It causes huge confusion all around the world, as not every country has daylight savings, and some don't use nice round figures like an hour. In 2011, MP Rebecca Harris put a bill forward calling for a permanent daylight savings change. It didn't get very far, and was dropped. So we will leave you to decide whether we should have year round BST (GMT+1). The Golf Industry did a study in the 1980's showing they would earn an extra £240 million with just one extra month of daylight savings. What do you think?